Looking for quality roof repair and installation in Bledsoe County, TN? Choose the professionals at Burell Built Exteriors! Our contractors offer complete home as well as full commercial roofing services. Call us today at (865) 385-6926 for your top roofing company in Bledsoe County, TN. Whether You Need New Windows or Commercial Roof Repair, We Can Help! Our roofers are proud to specialize in many roofing methods and materials for your house or commercial building. Thanks to our extensive experience and local knowledge, we can expertly address the problems with your roof, from standard wear and tear to hidden hail damage. When you have a critical leak or fire damage, contact us right away at (865) 385-6926 for emergency repair. 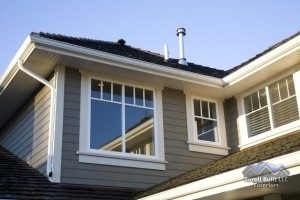 Our roofers also offer window and siding replacement, in addition to other home exterior services. If you want premier service, look no further than our roofing company in Bledsoe County, TN. Updated on April 25, 2017 at 9:31 pm by Burell Built Exteriors.